We really enjoyed this tour. Our tour guide was excellent. It was a bilingual tour English/Spanish. She did a wonderful job going back and forth without losing the other group’s attention. Very informative and beautiful sights. I would recommend this tour. Great informative tour. Friendly easy to understand guide. Good amount of time in each place. Great experience. Everything Gaudi......very informative. 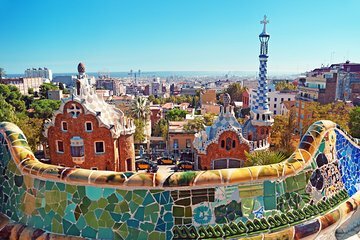 Park Guell epitomized how much Gaudi and his vision were ahead of its time. It made me wonder what else he would have given us had he lived. Each pice of his work tells its own story and leaves you in awe. This was an amazing tour of Antoni Guadi's masterpieces. I'm so glad we booked this tour instead of trying to tour the park and the Basilica on our own. Our tour guide, Sarah, grew up in Barcelona and was a fountain of information about the park, La Sagrada Familia, Antoni Guadi, and Barcelona. We learned so much more than if we had tried to read a tour book or even listen to an audio tour.